This is a free-form Roundtable Project. Join in whenever and wherever you feel like it. The title says it all: connect the dots. Phase two Even though it's called "PHASE TWO", this could start as soon as a couple of the "PHASE ONE" chapters have been written and there is no reason for "PHASE ONE" and "PHASE TWO" not to evolve together (depending on what inspires people.) Phase two is the "CONNECT THE DOTS" part of the project, where people who feel so inclined can start hatching new chapters with the purpose of tying some of the existing chapters into ONE coherent story. Phase three That will be the fine tuning and editing part. Potentially a lot of cutting and pasting and shuffling things around, here. It might be fun. It might be a headache, too. Fortunately, we won't have to worry about that until the very end of the project. well francis I think I understand what you are doing here. I'm having trouble picking one. Do I just click on the link and begin? How do I indicate the status like you have done it? 1 - Pick a title from the index (or make up one of you own) and just go ahead and enter a new post post. - I'll indicate that the chapter is taken. 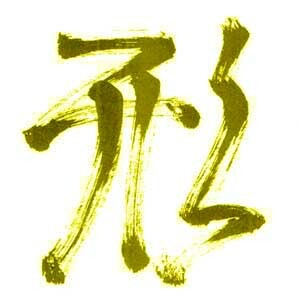 - and I'll try and provide your post with a picture of the relevant kanji (Sosho style) if you haven't done so. in the Sabaku (Movement) chapter. All right then, Sabaku's yours, John!